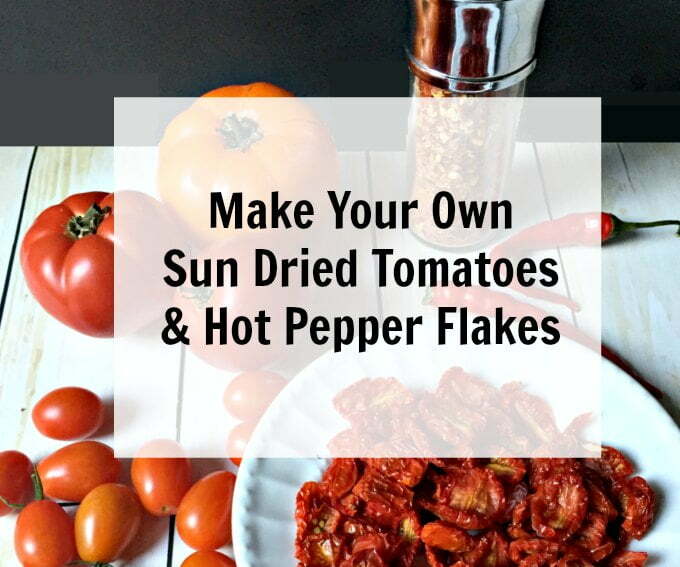 Make your own sun dried tomatoes & hot pepper flakes from your summer harvest so you can enjoy them all year long! My husband is just in love with our garden this year. We had such a good turn out of zucchinis, cucumbers, tomatoes and all kinds of peppers. 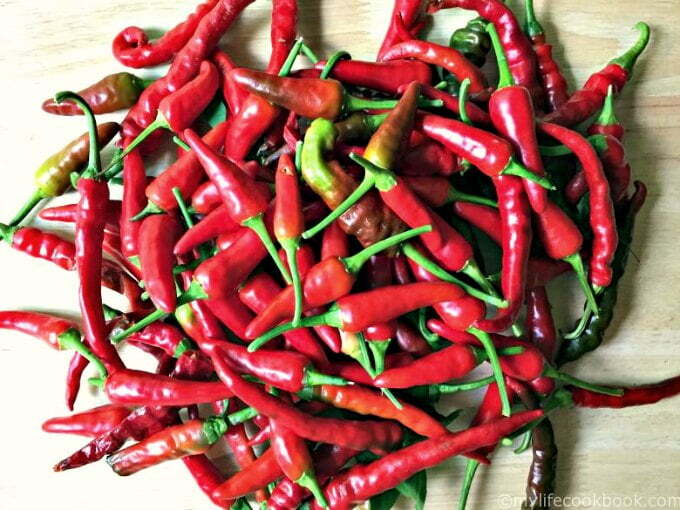 He made his pickled jalapeños that he shared with you and now he’s harvesting his cayennes and chile peppers. He also has become enamored with our dehydrator. I have to admit it does come in handy since I have not learned how to can yet. Perhaps I’ll do that next summer. But the dehydrator is a good way to preserve some of your summer harvest. Here are two that we did this summer. 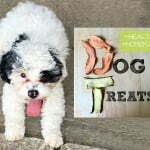 I also dehydrate zucchini and sweet potatoes for our puppy but that will come in another post. I tried this with whole grape tomatoes and sliced grape tomatoes and the sliced won hands down. 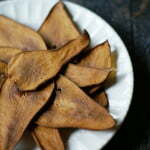 Simply cut them in half and dehydrate on your vegetable setting (135 degrees on our dehydrator) for about 8-10 hours. You want to check them periodically to make sure they are done or to take out a few that are done faster than the others. Here is what they look like when they are done. Bite sized pieces of yumminess. I just bag them and freeze and will use them all winter. 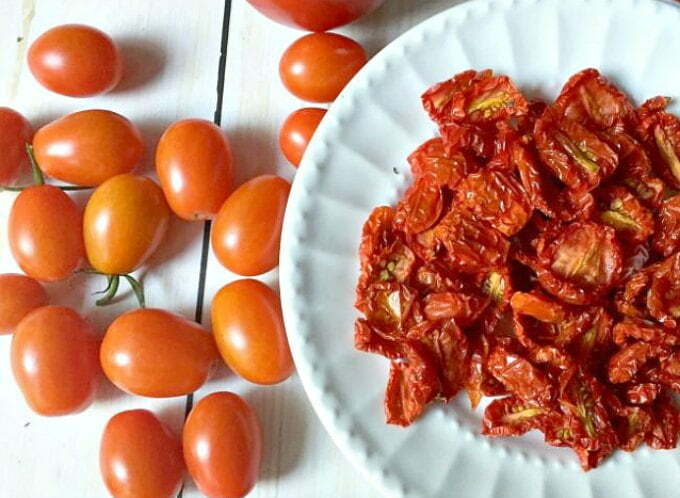 I like sun dried tomatoes and use them a lot. (Sun Dried Tomato & Herb Yogurt Cheese and Tuscan Chicken). They are so sweet and concentrated. You can use them in dips, with pasta or rice or even in an antipasto dish. These are my husband’s chile peppers. They are so colorful and pretty. He’s even made a wreath with them! All you do is spread them on the trays and dehydrate (at 135 degrees) for about 48 hours. Again you have to check them to see if they are done. They will be dry and brittle when ready and you can easily crush them. My hubby likes to make his own crushed red pepper mix. He puts it on everything and this year because we have so many peppers, he wants to give them out to our friends and family. All you do is put the dried peppers in a food processor and pulse until you get them all crushed. 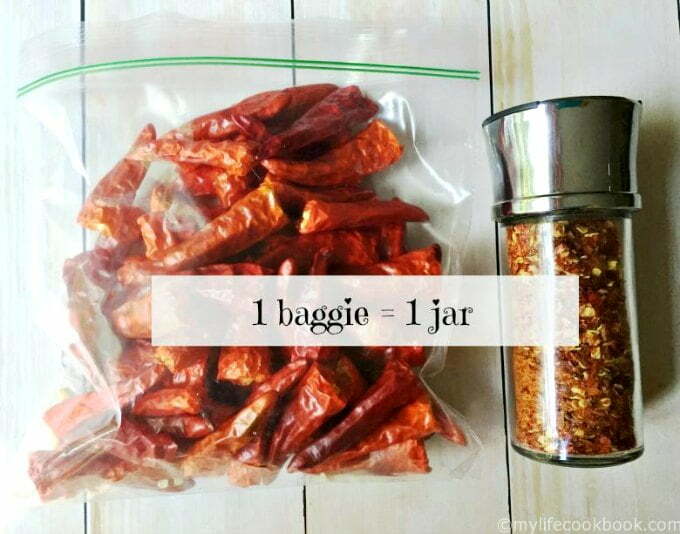 By the way, it takes a baggie full of dried peppers to make one bottle of crushed red pepper flakes. 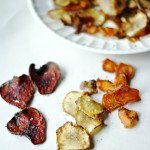 There are so many things you can do with a dehydrator and of course you can do these in your oven if you can set it to a very low temperature but I like the simplicity of dehydrator. Just plug it in and let it go. 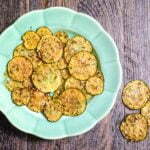 Do you use a dehydrator? What do you make in yours? Drop me a comment and let me know. I’d love to hear from you! 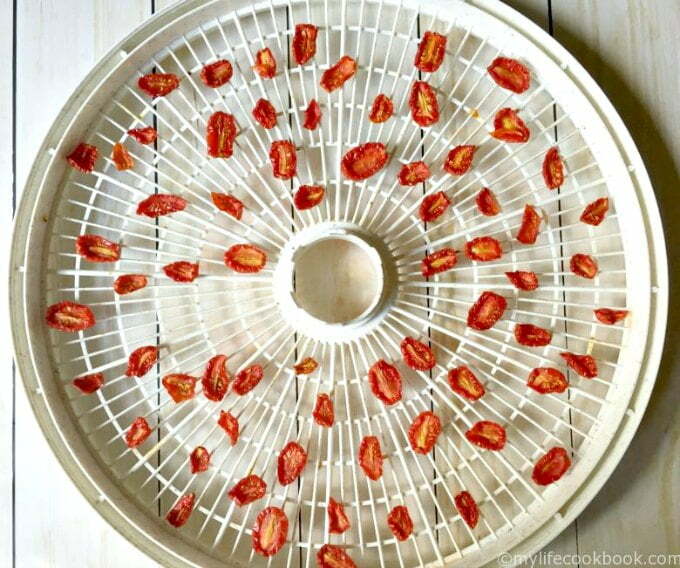 What a great way to preserve your harvest by making your own sun dried tomatoes and hot pepper flakes. Clean and thoroughly dry your tomatoes and peppers. 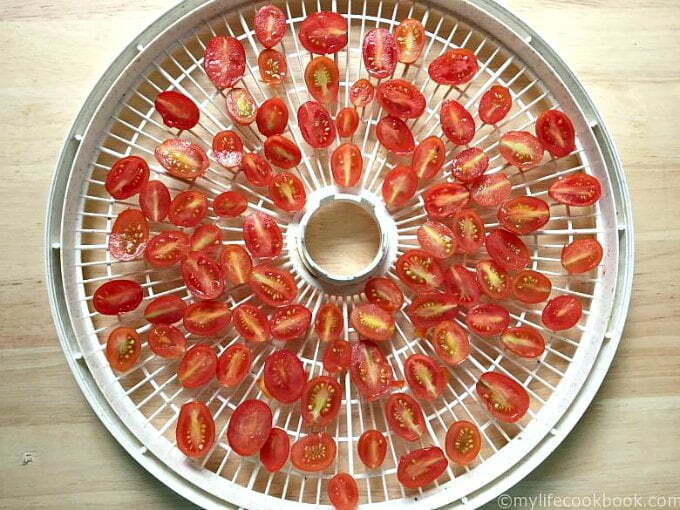 Slice your tomatoes and place on a tray of your dehydrator, sliced side up. Add your peppers to another tray. 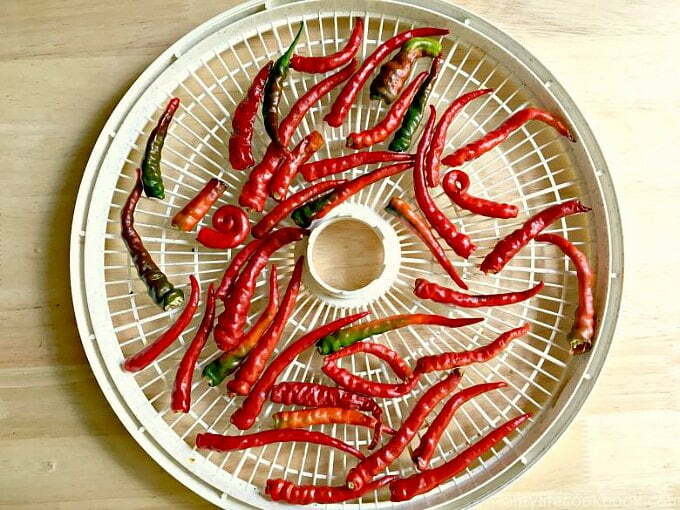 Set your dehydrator to 135 degrees or whatever you manufacturer setting for vegetables is. Tomatoes should be ready in 8-10 hours. Peppers should take 36-48 hours. Check both every once in awhile for pieces that are done. 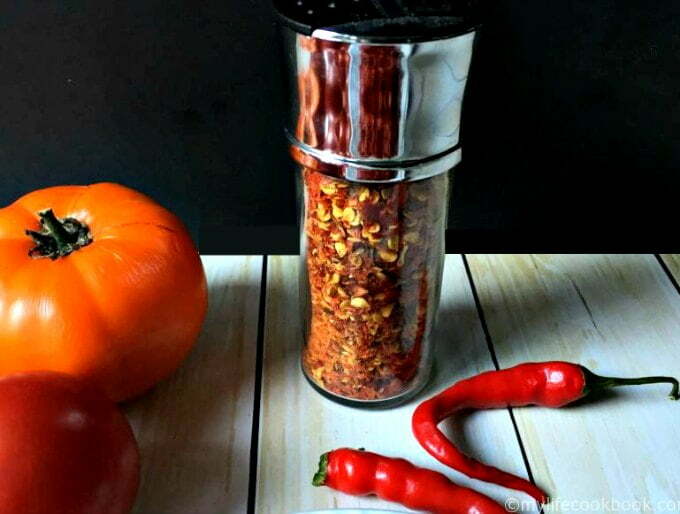 Crush the peppers to make your own spice in a food processor. Freeze the tomatoes in a zip lock bag. 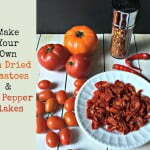 More Dehydrator & microwave recipes! Thanks for stopping by Raia. Sun dried tomatoes are so good and I use alot of hot pepper flakes. Great idea. Thank you for linking up at the Thursday Favorite Things. Hope to see you again this week. I use sundried tomatoes in a lot of my recipes. Thanks for sharing this. Love your blog!!! Thanks Patty! So glad you stopped by! Oh, I miss my garden! I gave up on tomatoes for a while after blight, then tried container gardening – only to have fire ants take over the pots after a flood. I noticed tomatoes on sale, and I’m considering stocking up and drying them. Thanks for the tips, because nothing ever comes out right when I use my dehydrator’s instructions. P.S. I love that pepper that grew in a perfect little curlicue! I love sun dried tomatoes and my hubby love the hot pepper flakes. It’s a great way for us to enjoy our garden in the dead of winter. Next summer we tackle canning! Thanks for stopping by!